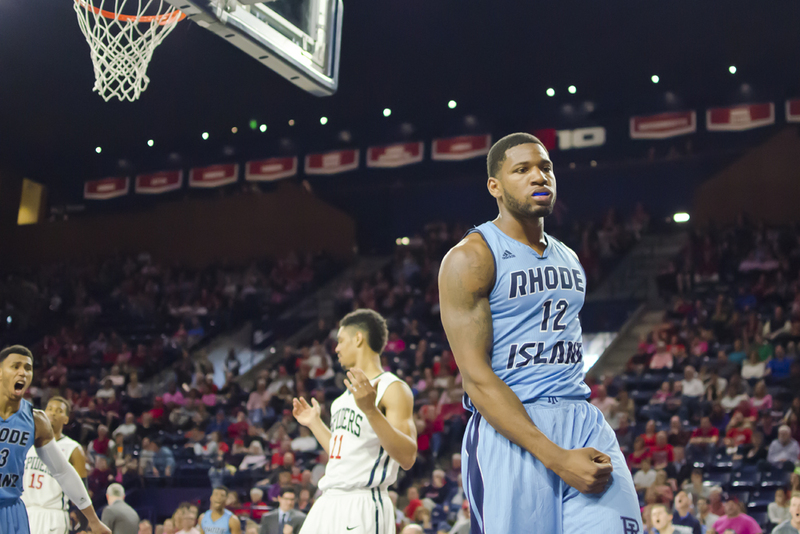 Massachusetts hosts Rhode Island at The Mullins Center in a game where both teams badly need a win. The Minutemen started conference play 1-0 with a road victory against La Salle. That was almost a month ago, and since then, they have lost seven straight games. Derek Kellogg needs to get his squad back on track, but they have a stiff test against Rhode Island. The Rams sit at 4-4 in conference play, and while they are no longer in legitimate consideration for a conference title or an NCAA Tournament berth, they can still pack a punch – especially on defense. Rhode Island is one of the best defensive teams in the country, and that poses a problem for Massachusetts, who has been offensively challenged at times this season. Rhode Island is elite nationally in blocking shots, ranking in the top 25 in block percentage. This is mainly due to their triumvirate of excellent defensive forwards: Hassan Martin, Kuran Iverson, and Earl Watson. All three of those guys are veteran players who post elite block rates and quality rebounding numbers. One point of optimism for Massachusetts is the fact that Rhode Island has issues with free throws. As a team, they are poor free throw shooters, but they also allow a ton of foul shots to their opponents. Massachusetts can use their guard play to slash to the hoop, and hopefully get some easy points and Rhode Island’s big men in foul trouble. Massachusetts boasts a dynamic senior guard in Trey Davis. Davis is averaging just under 20 points per game, and boasts an impressive 38.6% from three, and a 84.8% mark from the line. Davis is one of the best in the nation at drawing a high amount of fouls every game, which plays directly into one of Rhode Island’s weaknesses. Donte Clark is another guard for Massachusetts build in a similar build as Davis: a good shooter that can get to the line who plays a ton of minutes, and takes a high percentage of the team’s shots. Unfortunately, the Minutemen need contributions from someone other than Davis and Clark if they expect to win – ideally from one of their big men. Atlantic 10 Bracketology (2/1): St. Joe’s is rising, but is George Washington still “in”? How can you preview a game like this and not mention that Jarvis Garrett (leading scorer & assists) and Kuran Iverson (leading rebounder) both left last game for URI and won’t be playing? Absolute game changer, can’t take these ‘previews’ seriously.